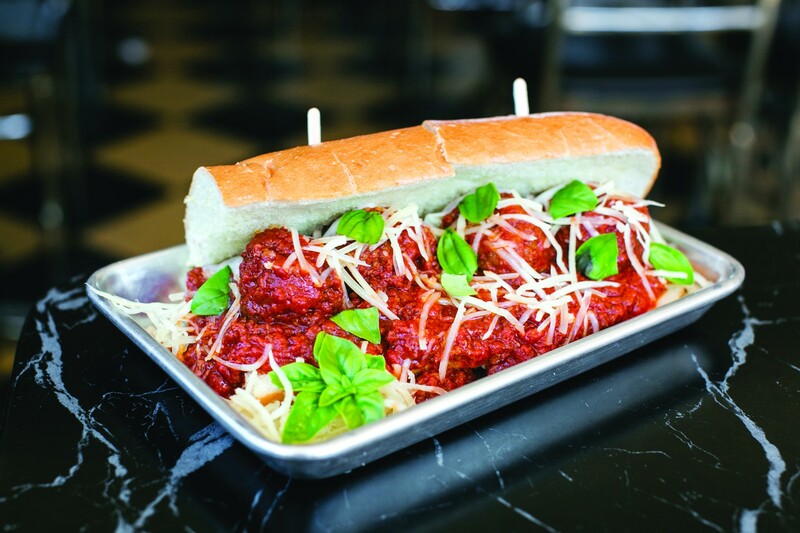 Stay Gold Deli's meatball sub. West Oakland’s beloved Stay Gold Deli is expanding to Temescal. Stay Gold, known for its creative sandwiches as well as Texas-style barbecue, is taking over the former Sacred Wheel Cheese & Specialty Market space (4935 Shattuck Ave.). It’s exciting news for the neighborhood, given that Sacred Wheel was one of few remaining places to get a quick, quality sandwich, particularly after the closure of nearby Genova Deli, which is set to become a Noah’s Bagels. Temescal’s other barbecue restaurant, Boss Kat Kitchen, also recently closed. Co-owner Jason Herbers told the Express that he plans to feature favorites from the original West Oakland location as well as create some new, only-in-Temescal dishes. Britni Mills will be the executive chef and general manager — she headed the barbecue program at the first Stay Gold before moving on to work at Juhu Beach Club. According to the San Francisco Chronicle, Stay Gold’s opening date might be as early as Feb. 15. As with the first Stay Gold, the Temescal location will feature a strong selection of wine and beer. And carrying over some of those Sacred Wheel vibes, Herbers promises to stock lots of cheese in the deli case.